It’s well known now that Tony Ferguson tore his ACL after tripping over his two feet and is unfit to compete against Khabib Nurmagomedov in the main headliner of UFC 223 on April 7. 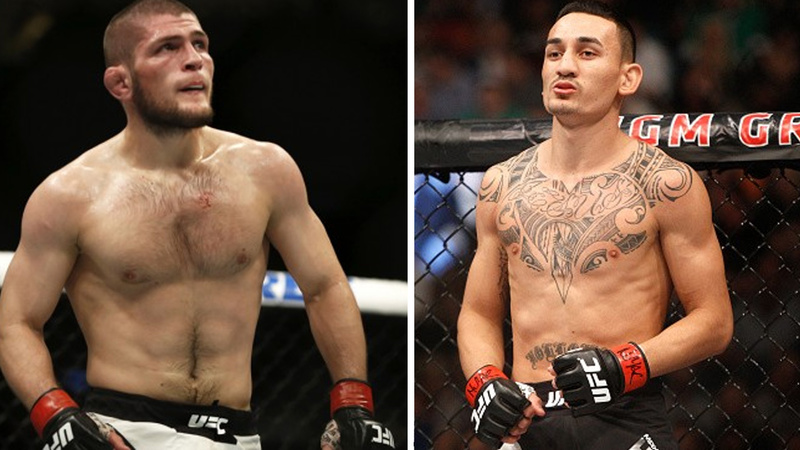 Holloway injured his ankle earlier this year in training; an injury was so severe that pull him out from scheduled UFC 222 card, now stepping in on short notice for UFC 223 PPV main event against Khabib Nurmagomedov for the lightweight title. Oddsmaker didn’t waste any time and released betting odds for Holloway vs. Nurmagomedov. Well, Holloway enters the Octagon as +365 underdog. While Nurmagomedov as a -505 favorite for the fight. The Dagestani grappler Nurmagomedov will enter the contest with a 25-0 record that includes nine triumphs in the Octagon. Meanwhile, Max Holloway who is riding on a 2-fight win streak. The fight is a great opportunity for Holloway, though, he would gain huge clout if he could upset one of the sport’s top fighter on short notice. UFC 223 also features the strawweight championship showdown between Rose Namajunas (champion) and Joanna Jedrzejczyk in the co-main event.